The Quality Assurance Agency for Higher Education (QAA) has confirmed the quality and standards of provision at Rotherham College of Arts and Technology (RCAT) and Dearne Valley College (DVC) in Rotherham. The colleges offer foundation degrees and Higher National Diplomas in areas such as engineering, art and design, sport and exercise, health and social care, public services, early years and travel and tourism. The QAA is the independent body ​that monitors and advises on standards​ and quality in UK higher education. A team of QAA reviewers visited the colleges and judged that their academic standards, the quality of student learning opportunities, and the information they provides about learning opportunities all meet UK expectations. A report has been released confirming the Agency's findings that Dearne Valley College's academic standards meet UK expectations, receiving commendations in two areas, and no recommendations for improvement. The commendations praised the College for both its enhancement, and the quality, of student learning opportunities. The report also found that examples of good practice were demonstrated, including "the support mechanisms that enable student development and achievement, which are excellent and wide-ranging." Martin Harrison, principal and chief executive at Dearne Valley College, said: "We are very proud to announce that Dearne Valley College has achieved the prestigious QAA quality mark, which highlights our commitment to offering high quality Higher Education courses and opportunities, right on the doorsteps of students across the region. The report included recognition of our "clear commitment to developing and enhancing interactive technologies" and our "systematic and holistic approach to quality improvement in learning and teaching" which is a fantastic accolade for us. "We are extremely proud of our growing Higher Education provision and this accreditation recognises the excellent efforts of the College's staff to deliver higher level skills in a range of industry areas." 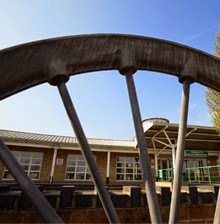 For RCAT, the enhancement of learning opportunities at the College is commended, meaning that, in this area, the College is deemed to have exceeded UK expectations. Examples of good practice were also identified including "the engagement of students as partners in the quality assurance and enhancement of their educational experience" and "the wide-ranging opportunities provided to academic staff to develop learning and teaching practices." Gill Alton, principal and chief Executive at RCAT, said: "The extremely positive review by QAA of Rotherham College's extensive higher education provision is a significant achievement for our College, our students and the local area. "The review highlights the College's strong links with employers, demonstrating how our higher education courses are engaging our students, increasing employability and supporting the local community achieve their aspirations. "It is a great endorsement to receive as we continue to grow the number of HE courses we offer."